It was the place that some of my fellow “NTC Sistas” (coined by my friend Sharon) chose to meet up and have a good old catch-up. We visited the restaurant during the middle of the week so it was fairly quiet. 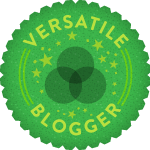 I felt the venue was quite intimate; it was quite possible to hear another person’s conversation. There is an open kitchen so you can see your order being prepared and cooked. 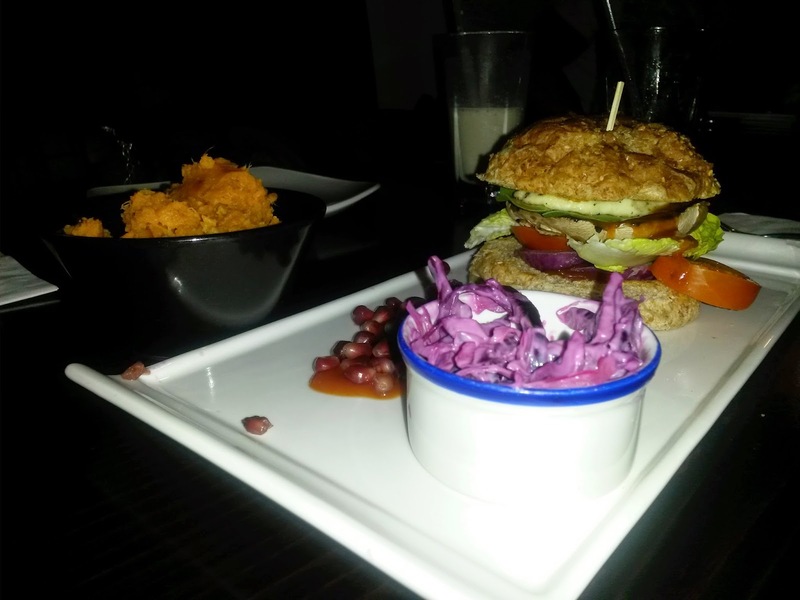 The menu is varied, so there is something for everyone whatever your dietary requirement. There are simple icons next to the options so you can see whether your food contains nuts or is gluten and/or dairy free. 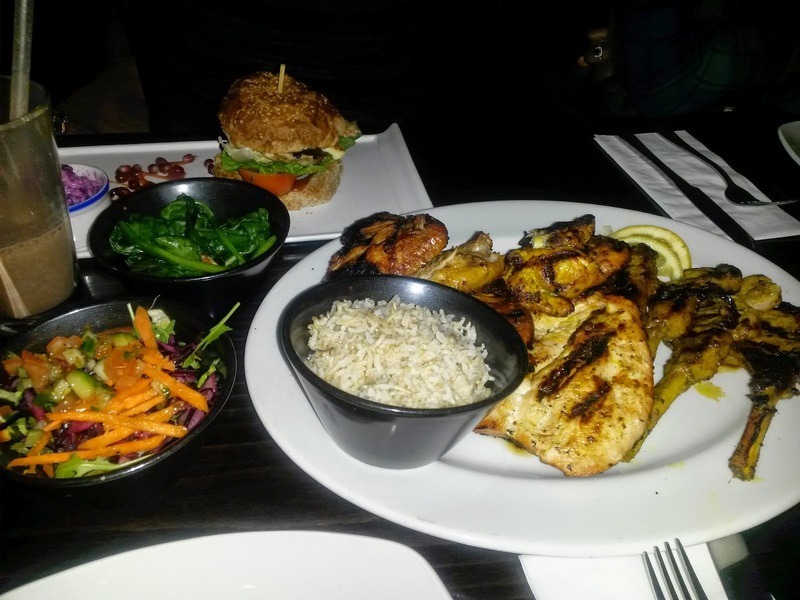 The meals are divided into different sections, so again you can choose options according to whether your training is focused on cardio, strength or both. 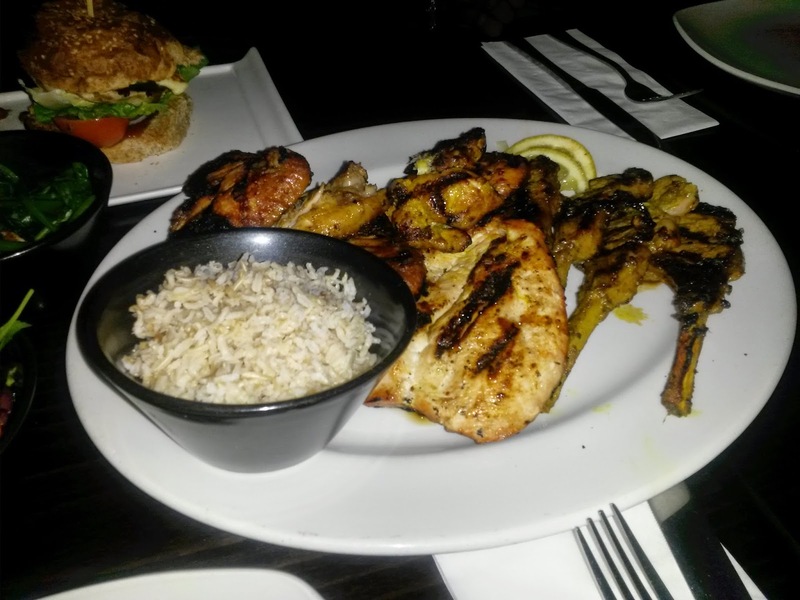 I had the Power Lifter Mixed Grill Sharer which can be shared between 2 people. It’s an affordable protein overload of chicken breast, chicken wings and lamb chops with salad, brown rice and a selection of dips (sweet soy sauce, tamarind sauce and ketchup). 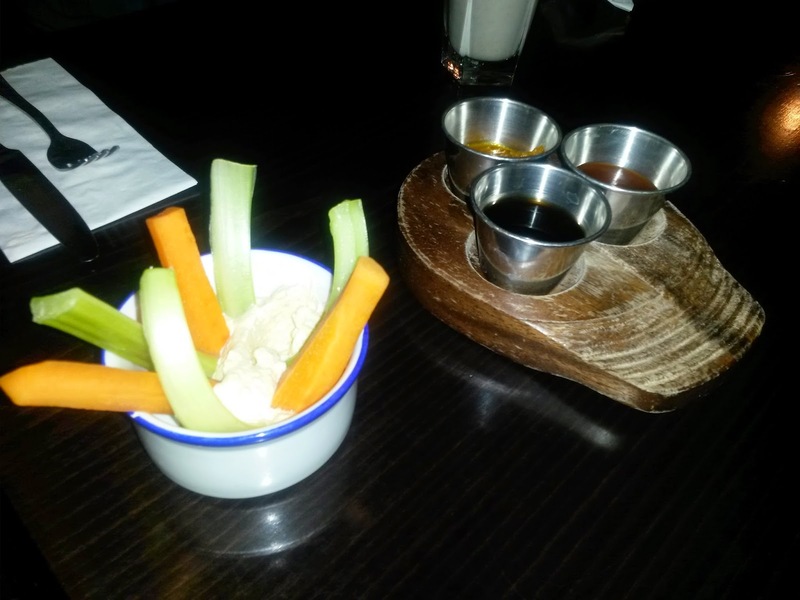 The sweet soy sauce was my favourite dip; it was on point! My friend and I struggled to finish the platter, but we got there in the end! The Lamb Chops were voted the best by Time Out and on tasting them, they did not disappoint. 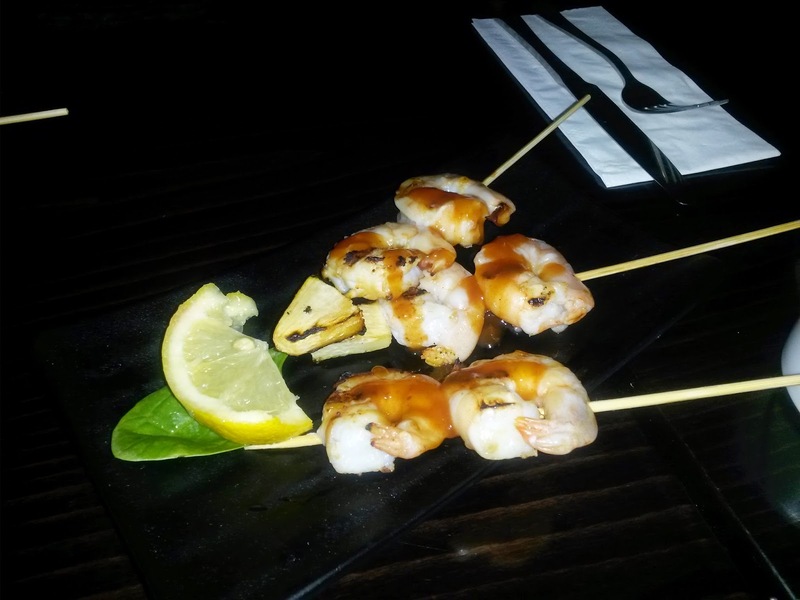 I also had the tiger prawns on a skewer as a starter, which were sweet tasting and appealed to my taste buds. Two friends ordered the veggie burgers. 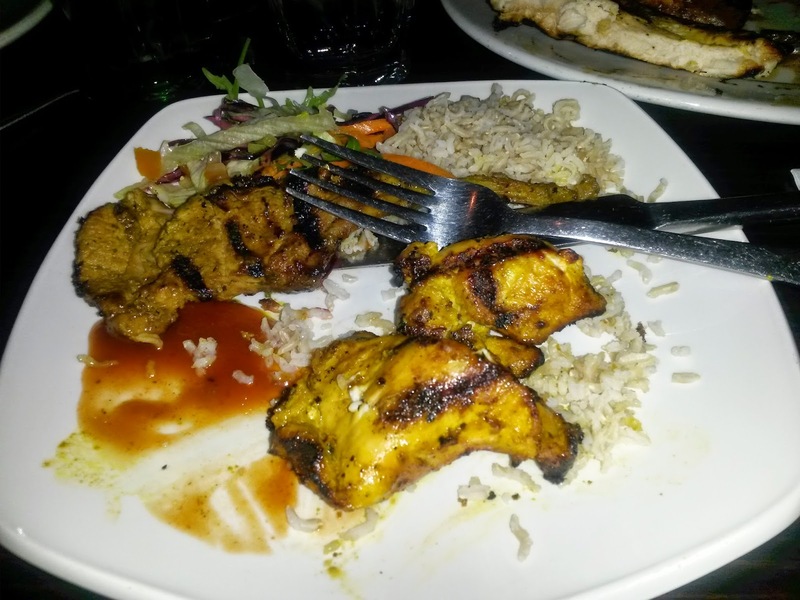 The food overall was well cooked and enjoyed by me and my friends. 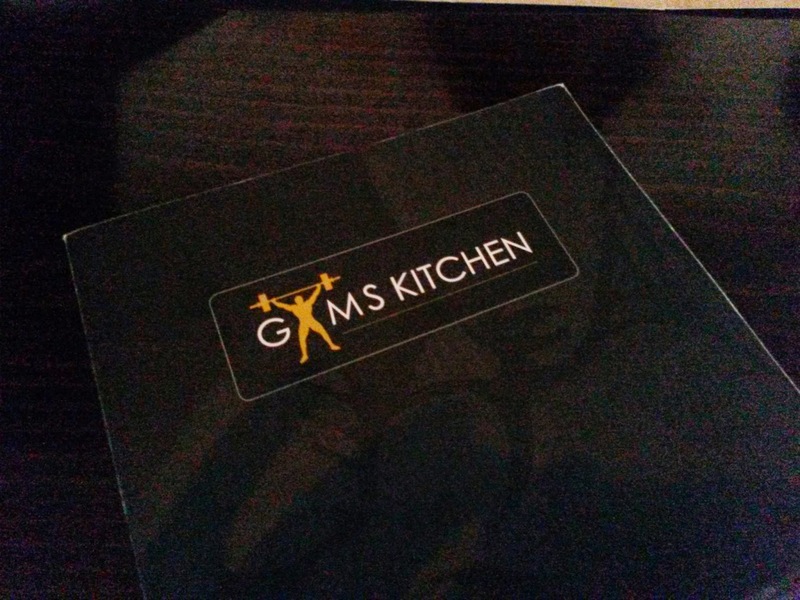 Because we were so full we didn't order dessert, but the pancakes look appealing so I’ll be paying Gyms Kitchen a visit soon to try them out. 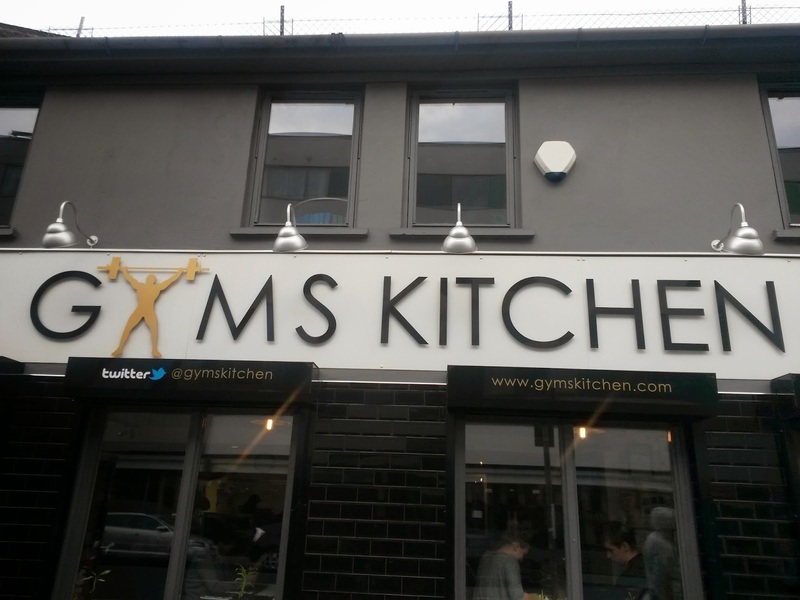 I found the service to be pleasant and charming; having heard good things about Gyms Kitchen from my brother and other fitness enthusiasts, it was good to try out the food for myself and confirm the praise that the establishment has had since it opened. What an interesting concept. 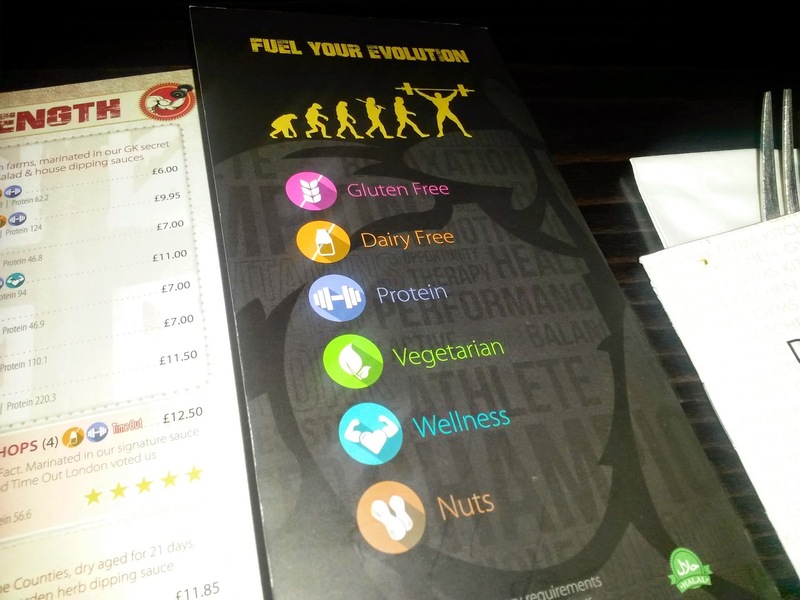 I've started noticing a lot of diet related restaurants (i.e. 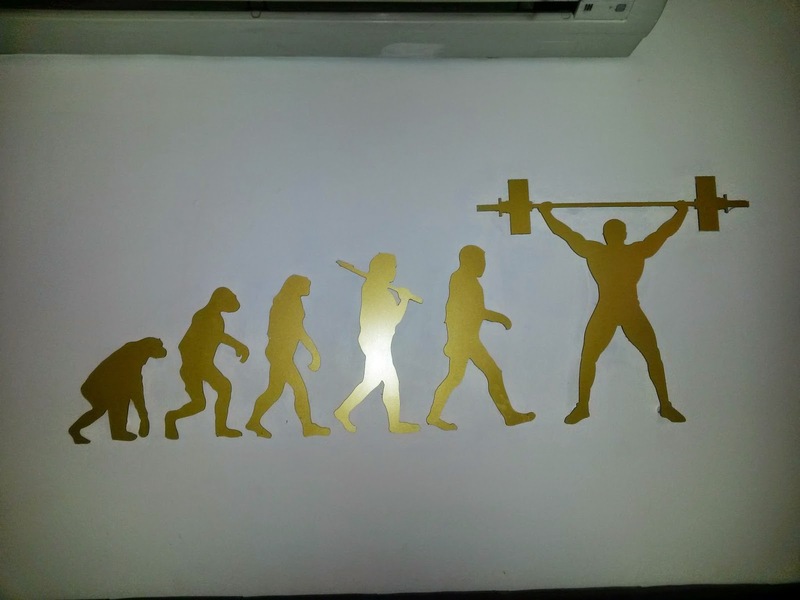 paleo) and I suppose it's a great idea for those sticking to a certain diet to be able to eat out.